Hey guys! 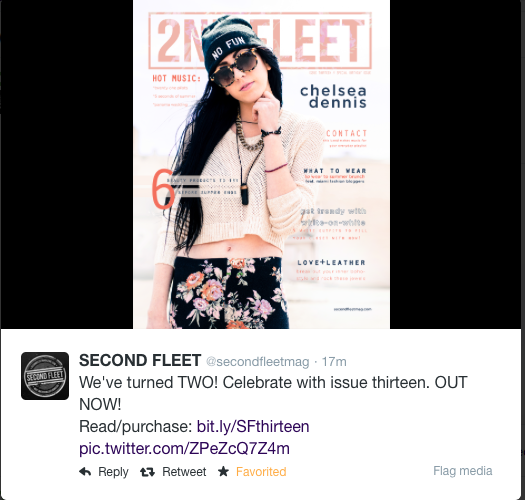 Check out my interview in this month's Second Fleet Magazine's issue where I talk about how my blog got started, trends I've got my eye on, and a peek into a regular day of fashion blogging! Plus this issue also features some pretty rad people, one being a super cool jewelry company that I need to check out! You can read the whole magazine online or be a doll and purchase a physical copy!